Dr. Jones is a professor of science education. Her teaching focuses on science teacher preparation and research in teaching and learning science. Dr. Jones’ research focuses on learning science in a variety of sociocultural contexts. Her research examines how a number of subgroups learn, including gender, minorities and students with visual impairments. Recently Dr. Jones has conducted a series of studies that examine nanoscale science education. 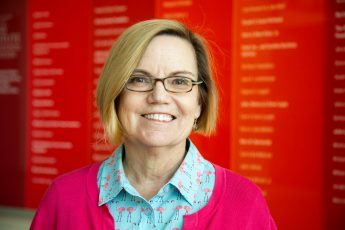 She directs the Innovations in STEM Education Research Group that is investigating how people learn scale and scaling, the role of haptics (touch) in learning, and effective strategies for learning nanoscale science. Dr. Jones also investigates virtual reality interfaces for learning science. Why count birds, give gardening advice or gaze at stars? Professor Gail Jones’ research says citizen science benefits volunteers, the community and science itself. A professional development initiative designed to engage teachers in collaboratively examining the trajectory of student learning in the biological sciences from basic content knowledge to mastery of advanced concepts. The ASSIST Center developed strategic outreach partnerships with 11 middle and high schools to enhance teachers’ engineering content knowledge and teaching methods in order to increase the diversity and enrollment of domestic students in university engineering degree programs. This project focused on documenting the role that haptic learning plays in science education. The goal of this Nanotechnology Undergraduate Education in Engineering program was to develop an undergraduate-level nanotechnology laboratory course consisting of 10 portable lab modules that would provide students with hands-on experience in nanotechnology. The Center for Molecular Spintronics sought to reveal the fundamental principles underlying the optimal use of organic molecules for spin transport and manipulation through new synthesis, advanced characterization and state-of-the-art modeling. 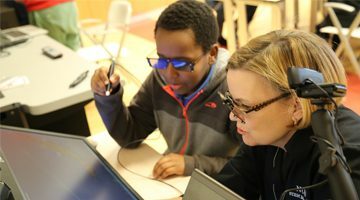 The goal of the Science Scholars Academy was to enhance teachers’ technological, pedagogical science content knowledge and awareness of cutting-edge scientific research to better prepare their students for STEM courses and careers.